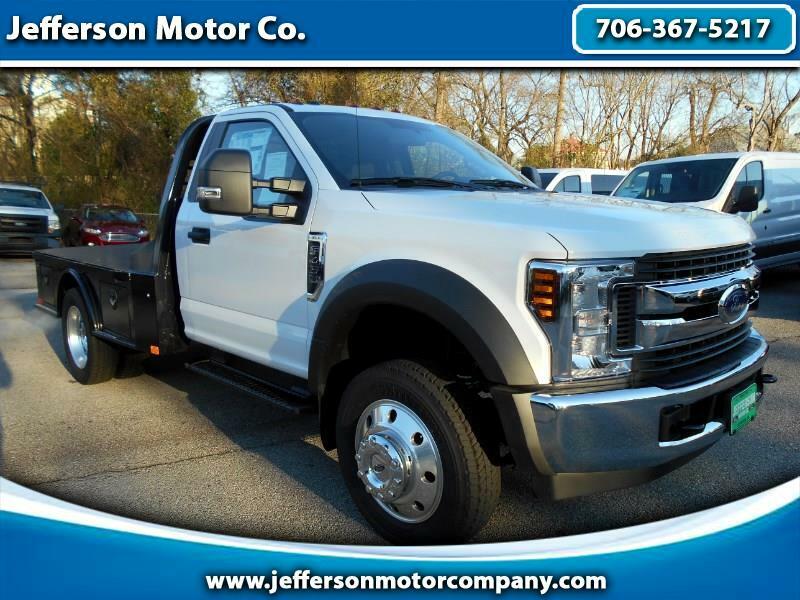 Used 2019 Ford F-450 SD Regular Cab DRW 2WD for Sale in Jefferson GA 30549 Jefferson Motor Co. This 2019 ford F-450 XLT is like new with less than 300 miles and is ready to go to work with a C&M flat bed body. Other standard features include a powerful 6.8 V10 engine, 4.88 limited slip rear axle, rugged vinyl floor covering, PTO provision, aluminum wheels, integrated trailer brake controller, and more. Please call/text ISRAEL PRUITT at 706-424-2679 for more information.